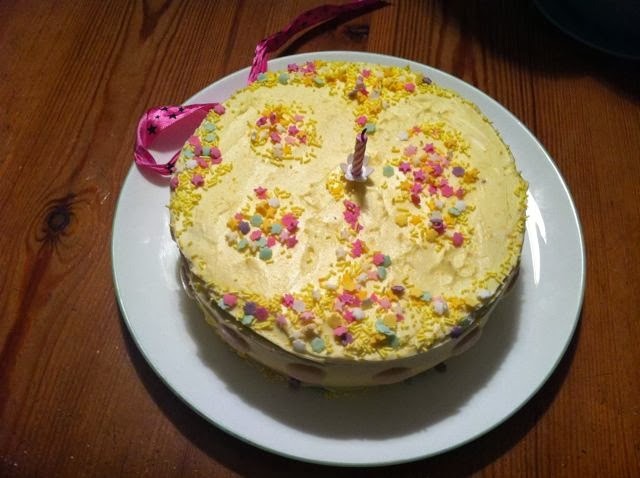 I was expecting lots of orange-flavoured bakes as this month's letter for Alphabakes was O, but there have been some surprises and unusual entries as always - Alphabakers, you do us proud! 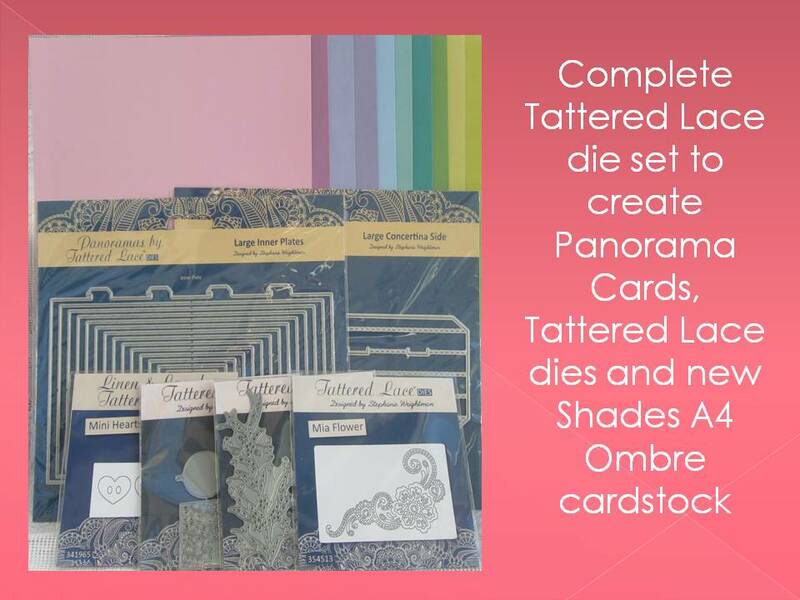 Without further ado as I'm sure you are all waiting to see what treats we have in store, here is the roundup of this month's entries. Check out Ros's site at The More Than Occasional Baker on December 1 to find out what letter we will be baking with next! First up we have the cake that I made for a bonfire night-themed Clandestine Cake Club. The O link is not the most obvious but it is there, and I wanted to share this with you as I thought it looked cute! It’s a toffeeapple cake, and the hedgehog – which I made out of fondant – is nestled in a bonfire made of orange flavour chocolate Matchmakers! One of our most unusual entries this month comes from my co-host Ros’s mum – Ondeh Ondeh are traditional Malaysian cakes made from glutinous rice flour and juice from pandan leaves, filled with sweet brown palm sugar. When they are cooked, they are coated with freshly grated coconut – I’m certainly intrigued! Ros’s mum also treated us to these orange poppy seed cupcakes, made with orange juice and zest and poppy seeds and a simple orange icing. I don’t think I’ve ever had poppy seeds in a cake before so this sounds interesting. These adorable owl cupcakes (now why didn’t I think of that?!) come from Johanna at Green Gourmet Giraffe. She made chocolate honey muffins and used mini Oreos for the eyes. 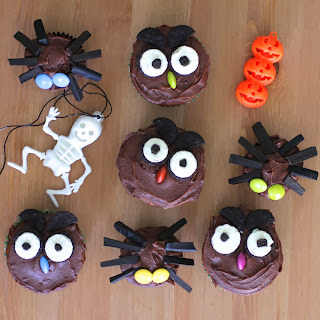 The picture also shows some spider cupcakes Johanna made for Halloween. Ros at The More Than Occasional Baker, who is my co-host for Alphabakes, made this chocolate olive oil cake from a Nigella recipe which she says was spectacular and one of the best chocolate cakes she has eaten in a long time. 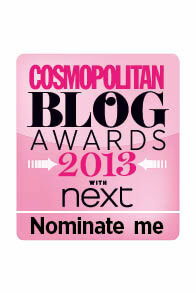 So I will definitely have to bookmark this one! I’ve made vegan cakes using oil before and they always turn out deliciously moist. I know how much Ros likes to bake with Oreos so I was wondering what she would send in for Alphabakes, and these minipeanut butter oreo cheesecakes don’t disappoint. She says this is one of the best desserts she’s ever had – that’s another one for the bookmark then! Orange and poppy seeds together make another appearance in this orange, poppy seed and white chocolate birthday cake from Choclette of Chocolate Log Blog. Obviously this is a combination of ingredients I am going to have to try! This was made for an 80th birthday and I’m sure was well received. 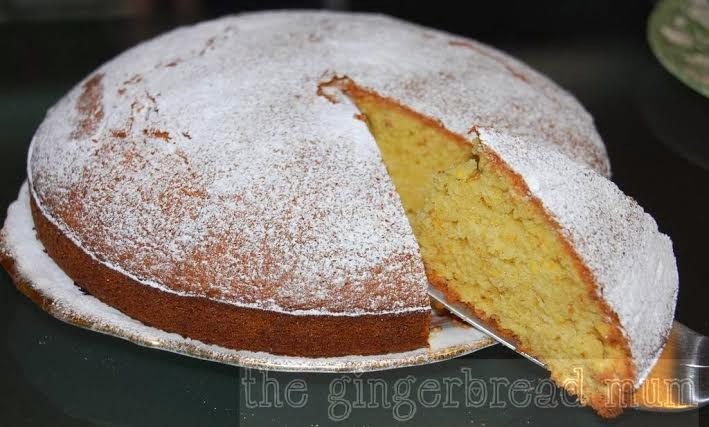 Some more orange, this time in the form of marmalade, in this Dundee marmalade and panettone pudding from Stuart at CakeyBoi.http://www.cakeyboi.com/2013/11/dundee-marmalade-and-panetonne-pudding.html This would be a great way to use up any leftover pannetone after Christmas! (Not that I’ve ever had pannetone but I know it’s a popular festive treat). Stuart says this dessert is not much of a looker but I bet it tastes great. I love chocolate and orange together (and was intending to make something using a Chocolate Orange from Terry’s but haven’t had time). 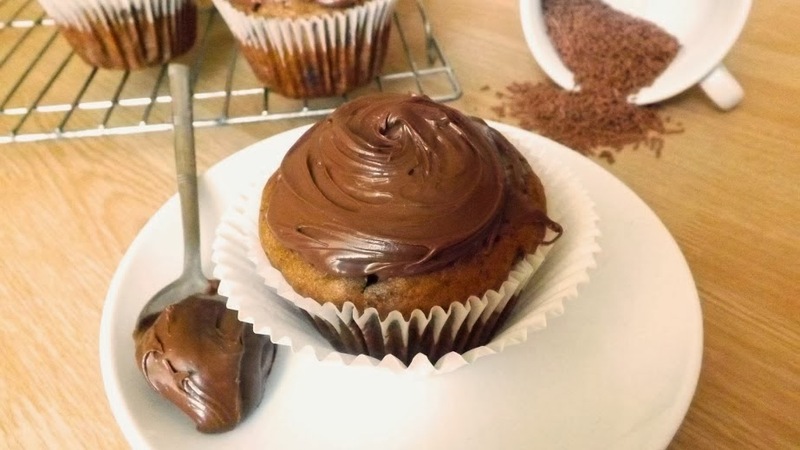 So instead I can indulge myself by looking at these chocolate orange pumpkin muffins from Laura at I’d Much Rather Bake Than. This is also the first time Laura has cooked with pumpkin and I think it was a great success! Laura and I are obviously not the only fans of chocolate orange as the next entry, from Olivia of Liv A Little Bakery, is these chocolate orange cupcakes. I love how pretty they look. 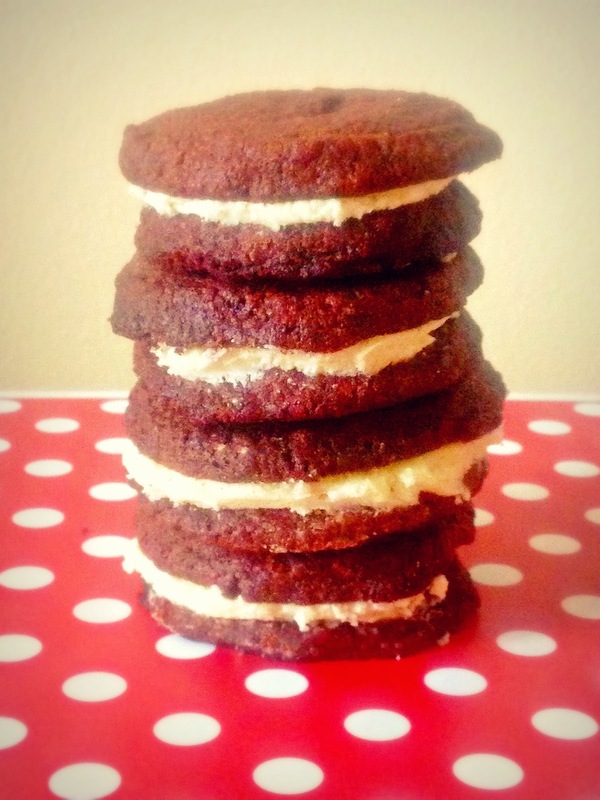 I’m pleased to welcome a first timer to Alphabakes this month: Rachel from Not Far From 30. And what a first entry it is! Rachel has sent us homemade Oreos which are one of my favourite biscuits so I think these look great. 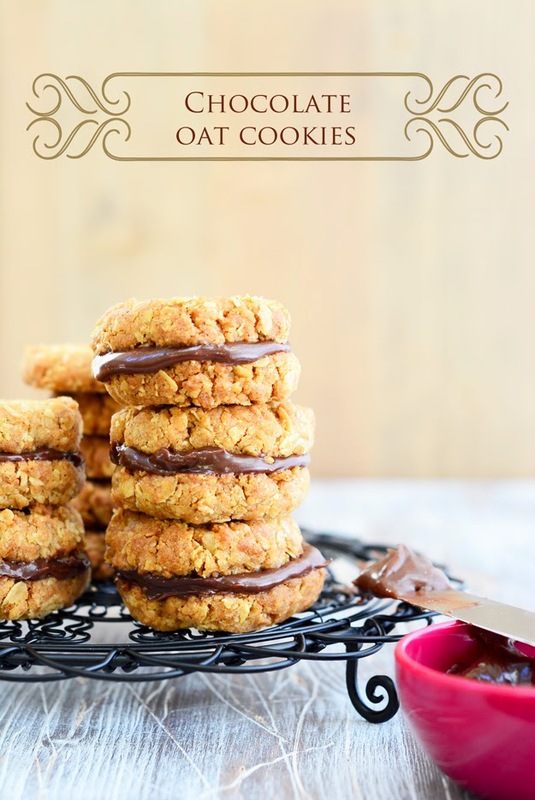 Jacqueline (my mum) made these traditional Anglo Saxon oat biscuits which followed an authentic recipe using oats, flour, fat and no sugar. I don’t think she will mind me telling you that she wasn’t very keen on them and to be honest neither was I – I recommend adding some sugar next time! 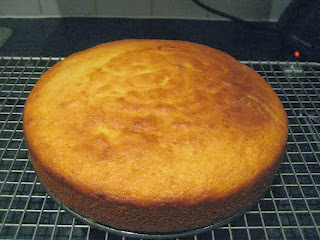 She also made a Victoria sponge with orange flavouring and orange icing, I bet that didn’t last long after it was baked! 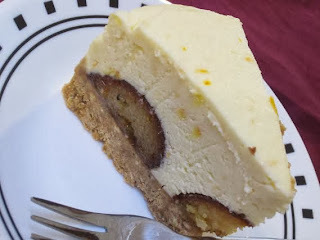 Another unusual ingredient in the form of gulab jamun in this white chocolate, orange and gulab jamun cheesecake from Chintal of Chinskitchen. Gulab jamun are deep fried balls made from milk solids that are soaked in a sugar syrup flavoured with cardamom and rosewater or saffron before frying. 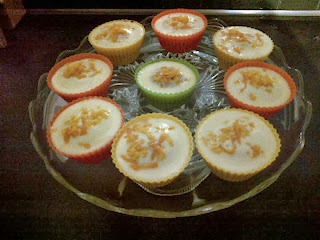 Chintal’s cheesecake recipe also uses cardamom powder for extra flavouring and the finished result looks very pretty. From cheesecake to dairy free with this orange cake from Angela at The GingerbreadMum. She also reduced the sugar content and said the cake is deliciously light. While "oranges are not the only fruit", they are the most obvious ingredient beginning with O, I think! But who cares when orange gives cakes such a lovely flavor? 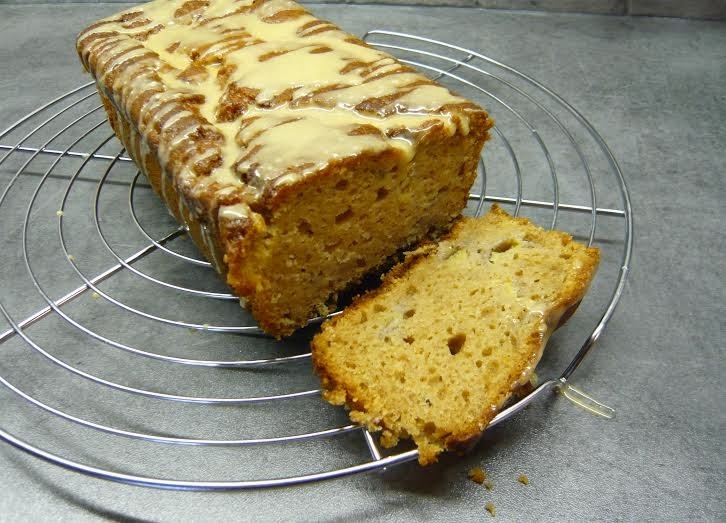 This orange yogurt loaf with orange glaze icing from Linzi of Lancashire Foodticks all the boxes – it looks moist and easy to make. 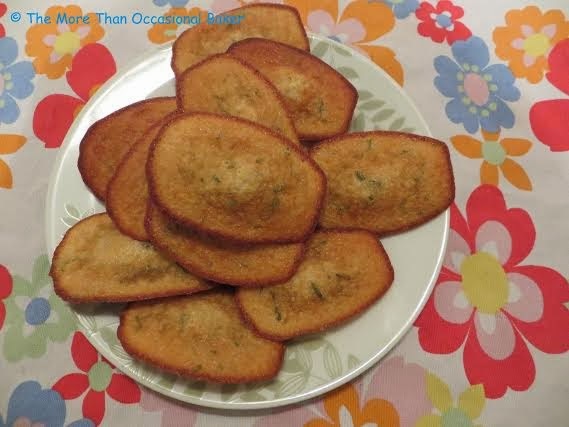 Ros of the More Than Occasional Baker uses orange with an unusual combination of flavours in this browned butter, orange, rosemary and polenta madeleines. Ros says the madeleines have a crunchy texture from the polenta and a slightly nutty taste from the browned butter. My boyfriend loves Oreos so I made this Oreo cheesecake when he moved in with me back in the summer – and have only just gotten around to blogging about it! What do you think? I also made this orange curd pudding which is a real winter warmer; I think it would work well with other flavours too. Fiona from Sweet Thing You Make My Heart Sing uses the whole of the orange in this cake; you boil the orange for an hour then puree it. It’s never occurred to me to do that before, but it’s a great way of avoiding waste! The cake is lovely and moist as well, Fiona says. 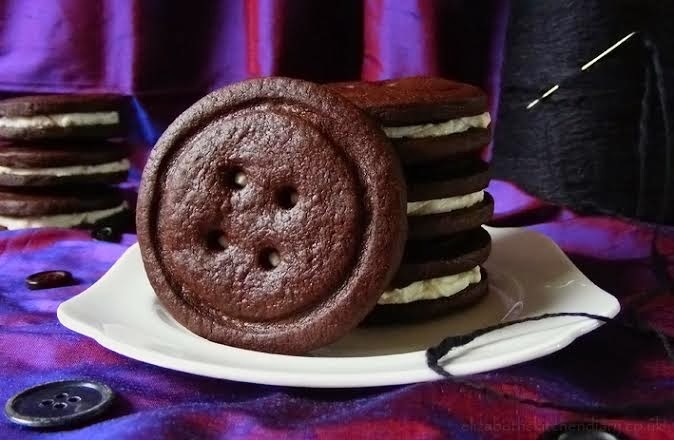 More Oreos, but this time rather than use them as an ingredient, Elizabeth of Elizabeth’s Kitchen Diary has made her own! These were for her daughter’s birthday party, which had a Coraline theme – I think it was a brilliant idea! I’ve had my eye on this recipe for a while and finally got around to making it for my dad’s birthday. This is an Opera gateau, which is a cake made with a light flourless sponge, layered with coffee buttercream and chocolate ganache. It tasted heavenly! 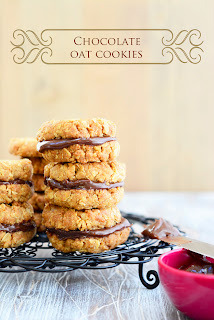 Angela from My Golden Pear has had a week of kitchen disasters and needed to make something comforting from a recipe she knew would work – these chocolate oat cookies, sandwiched together with a sauce made from melted Mars bar, were the result. She says they were also known in her family as gypsy creams – does anyone know where that name might have come from? Alexandra, the Lass In The Apron, is a first timer to Alphabakes – welcome! 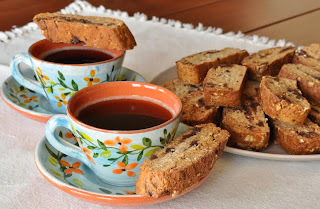 For her debut she sent us these oatmeal chocolate chunk biscotti. Alexandra says she finds shop-bought biscotti too hard and this is her own recipe – no mean feat, but then Alexandra has some great culinary training. 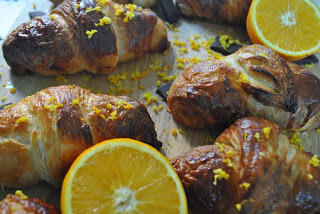 I tried to make croissants once and it wasn’t easy (and that was using a breadmaker) so I’m impressed by Lottie’s Chocolate Orange Croissants, which you can see over at Lottie’s World of Cakes and Bakes. She says they do take time but once you make the basic dough you can jazz them up however you like. 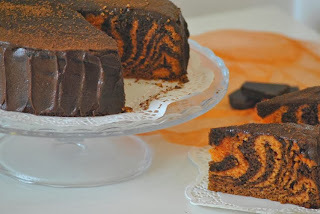 Lottie also sent us this Chocolate orange tiger cake which looks amazing. It uses a particular marbling technique to get the stripes just so – I’m sure she won’t mind if I bookmark this to make as a zebra cake when the letter Z comes up! Homecooked comfort food is worth the time, as Grace from Life Can Be Simple points out, and this Okayodon makes her think of home. This is a rice-based dish and the name means “parent and child”, which refers to the chicken and the egg. 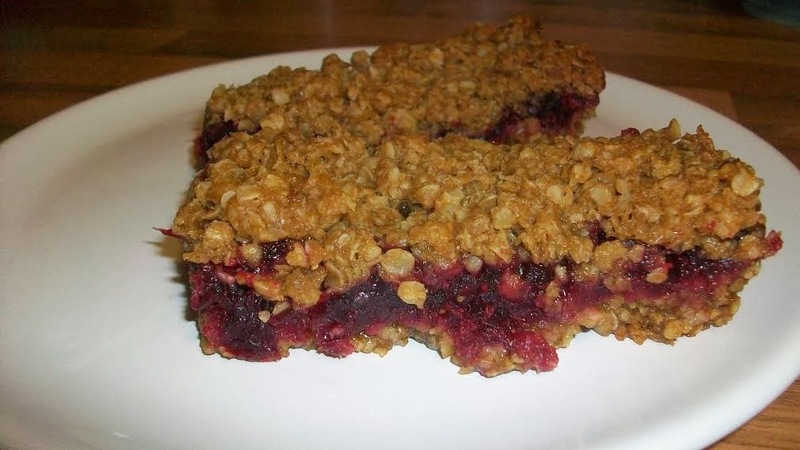 Back to a sweet dish with these cranberry sauce flapjacks from Jen at Blue KitchenBakes; the o of course refers to the porridge oats in the flapjacks. I always associate flapjacks with cold weather so they are perfect for this time of year. 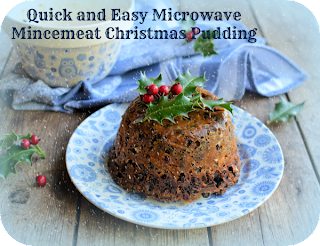 A very festive entry from Karen at Lavender and Lovage – a quick and easy microwave mincemeat Christmas pudding. If you are short of time but want to serve a traditional Christmas pudding this year, then this recipe is for you. The o in question is orange; the recipe uses grated orange zest. 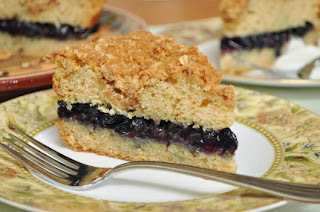 Alexandra, The Lass In The Apron, is on a roll and has sent us another entry – a brown butter coffee cake with oat streusel and dried blueberry-red wine filling. The name alone is quite a mouthful – as is the cake! She started out wanting to make something with dried blueberries and the idea grew from there. Alexandra says the combination of crumbly streusel and the sophisticated filling lends the coffeecake a refined complexity. 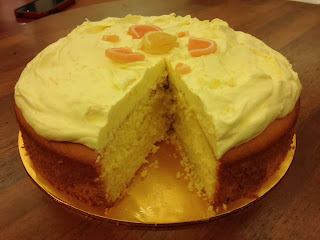 Another entry from Ros’s mum – an easy orange cake with orange icing. Sometimes the simpler, the better! She has certainly been busy baking this month. My sister Clare has sent us these orange cupcakes, with freshly squeezed oranges and orange zest in both the cakes and the icing. And she has just hinted that a cake stand would be a good Christmas present! Just squeezing in under the wire (OK, one day after the deadline) with another entry of my own, I couldn’ t resist sharing these chocolate orange mousses with you all, as they are low fat which is always good at this time of year! And finally we have an orange and banana loaf cake from Jean at Baking in Franglais, which she made to use up some sad-looking bananas in the fruit bowl. 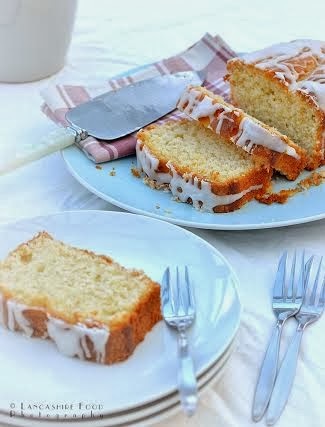 In fact, the cake mainly uses leftover ingredients which is very thrifty and a great excuse to bake! Thanks to everyone who took part this month! Check out The More Than Occasional Baker on December 1st to find out which letter we will be baking with next. lots of lovely cakes as usual.some vey good ideas. A marvellous and bumper round up. 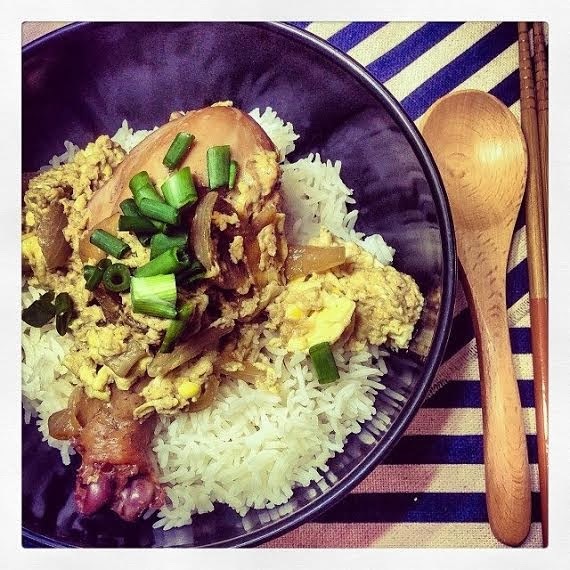 A fantastic collection of recipes! I love the tiger striped cake especially. Oh how splendid. Orange was a popular choice and I'm not surprised, it does have such a lovely flavour. Your bonfire cake is amazing Caroline - well done. Wow loads of inventive O's - I love the look of your oreo cheesecake!